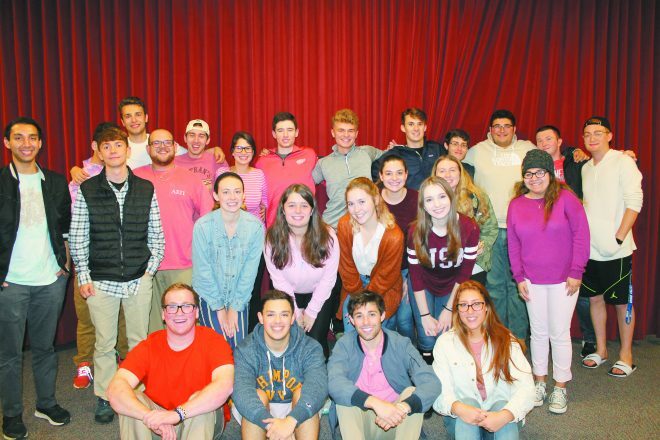 GVSU students participate in a Pink Shabbat, with proceeds going to Sharsheret, an organization that supports Jewish women with breast cancer and their families. GVSU dinner benefits a nonprofit aiding Jewish women with breast cancer. At Grand Valley State University, our Jewish population is growing, with more and more Jewish students attending the university and coming to Hillel events. I am the Nefesh intern for Hillel, which means I am the women’s empowerment and wellness intern. As part of my internship, it is my job to host three events a semester that focus on women’s empowerment or one’s health and well-being. My first event was about how we can take time for ourselves and focus on our mental health. Every day should be a mental health awareness day, so I took six Hillel women and went to Wax Poetic Candle Bar. We discussed how we cope with stress and what we can do to stay aware of our well-being while making our own candles. The second event was combined with one of the Shabbat dinners we have every other week at GVSU. On the off weeks, we have other events. October was Breast Cancer Awareness Month, and it was only right to have a Pink Shabbat. Sharsheret is a national nonprofit organization supporting Jewish women and their families facing breast cancer. 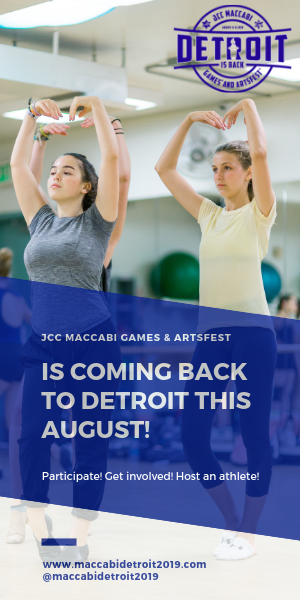 Its mission is to offer a community of support to women of all Jewish backgrounds diagnosed with breast cancer or at increased genetic risk by fostering culturally relevant individualized connections with networks of peers, health professionals and related resources. This organization means a lot to me because breast cancer has affected my family personally. My mother is a breast cancer survivor, and a very close family friend of mine passed away from breast cancer. 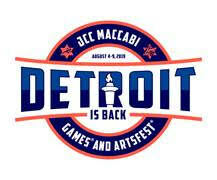 I thought this would be a great organization to bring to my Hillel community. For our Pink Shabbat, I made a tzedakah box and asked all participants coming for dinner for donations they would like to give to Sharsheret. My Hillel executive board decided to bring the tzedakah box to every event in October, with all proceeds going to Sharsheret at the end of the month. Samantha Byck of Berkley is a senior at Grand Valley State University. ← For Openers: What Planet Are You From?